When did you first hear about HIV/AIDS? 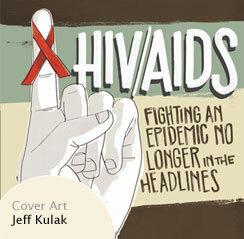 The history of HIV AIDS is still being understood. Most Americans became aware of the epidemic in the 1980s, but recent scientific research has found the Human Immunodeficiency Virus began infecting African communities between the late 1800s and the early 1900s. The virus then found in Haiti by the 1960s. 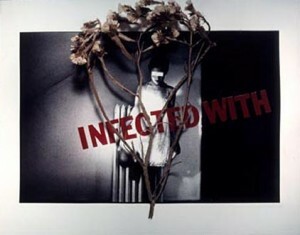 HIV in the American injecting drug and Gay communities of the United States is first recorded in 1981. In the epidemic’s beginning, there was seldom an opportunity for most Americans to understand the difference between HIV and AIDS, simply because people were often in the acute stages of AIDS before they sought help. In the mid 1980s, a test was created to identify HIV, which helped the scientific world to better understand its transmission. As a result, the definition of AIDS shifted in 1993 from an official diagnosis because of specific opportunistic diseases, to also include HIV positive individuals whose CD4 T-Cell counts had fallen below 200. New drug treatments, called highly active antiretroviral therapy, or HAART, became available in 1996. This drastically reduced the death rate of people who carried the virus. With the availability of the new medications, the difference between HIV and AIDS became more important, because an increasing number of individuals living with HIV were no longer advancing into a diagnosis of AIDS. In some cases, the Human Immunodeficiency Virus became undetectable when treated with HAART medications. In 2009, most Americans no longer think of AIDS as an “automatic death sentence” the way it was frequently seen before the HAART medications. Then there is a younger generation who “grew up” with an awareness of AIDS, but who were not taught about the incredible AIDS stigma that had existed previously. For example, a primary American financial source for HIV/AIDS related programs owes its title to Ryan White, an adolescent who was expelled from his school when he was found to have contracted HIV from a blood transfusion. Individuals from his community fired gunshots into the home of his family, forcing them to move away. Historians have suggested that since Ryan White did not match the stereotype of a Person with AIDS, he was later accepted in a more supportive manner than if he had been a Gay man, or an injecting drug user. Part of the AIDS stigma is related to perceiving a difference between those who are infected as a result of their own behavior, and those that were so-called “innocent victims,” who were infected as something outside of their behavior. An example would be a child infected with HIV from his pregnant mother, or someone like Ryan White, a hemophiliac infected as the result of a blood transfusion.